Our team is prepping for the next edition for Portland/Vancouver. The homecare and Housing grid emails have been sent and we are calling those that have not replied. The ads have all been sent to our sponsors for their approvals. 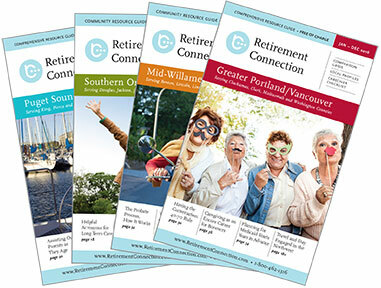 Retirement Connection is the ONLY comprehensive local resource in our area. If you are marketing to seniors and their families, please make sure you are included and your listing is accurate, how else do you consistently stay in front of 75,000 families and providers? We cannot wait to release the 2019 guide, and we are planning the celebration- mark your calendars for the Release Party on January 24th (we had over 400 guests last year). We are never too busy to be a resource for you. Let me know if we can help you post an event, deliver guides, or just be a sounding board. Topic: Gratitude: what are you thankful for this year? 9 AM Ready or not Here it Comes— Your Older Years: Prepare Your Tool Belt!